Online educational courses are becoming increasingly popular due to their flexibility and proven results. Here at Northwest we understand that not everyone has the opportunity to commit to on-campus classes, which is why we offer a range of online and hybrid courses designed to fit around your busy Las Vegas lifestyle. While online courses are an excellent way to approach education, they do require a little preparation on your part to get the best out of them, so we’ve put together some tips on how to best prepare for an online course. 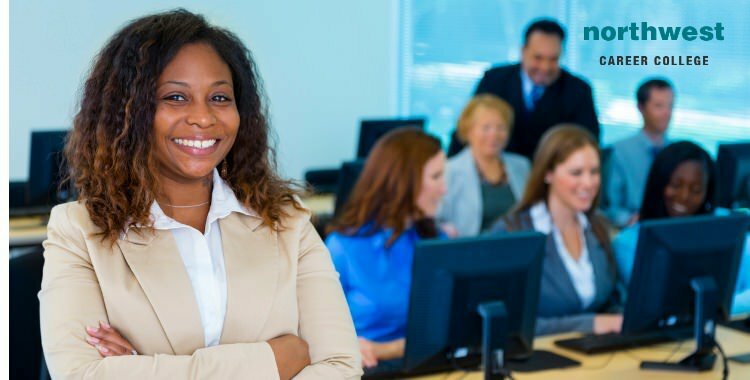 Online classes can be accessed through a computer or tablet making them extremely flexible, but you will need compatible technology for them to run correctly. Before you sign up for an online class make sure you check what their recommended set-up is for your computer or tablet. If you are having trouble, don’t hesitate to contact your colleges IT department for help, it’s what they are there for. A stable internet connection is also vital, as you’ll find it hard to keep up with your lessons if you spend half your time disconnected. Without the personal interaction and strict timetable of an on-campus course it can be easy to let deadlines slip, which can result in you falling behind. The best way to avoid this is tight time management. Set yourself a flexible but regimented schedule and keep to it at all costs. Soon the work will be become part of your routine and you’ll find it integrates itself with the rest of your life. There are many time management resources available to students, from specific calendars to time management apps. Taking advantage of those resources can give you the edge you need to make the best of your course. Online degrees have a reputation as being less personable because of the lack of physical connections with other people, but they don’t have to be. Building up a support network of people who understand your academic experiences is an important part of being in education. Thankfully most online courses offer student chat rooms, “get to know you “gatherings and other method of building a classroom community. Immersing yourself in these opportunities is a great way to build a new friendship group and avoid any potential feelings of isolation. How Do I Apply For Student Finance? First, just complete the Free Application for Federal Student Aid (FAFSA). You can find a copy of FAFSA form, and a guide to completing it, on the Federal Student Aid website. www.FAFSA.ed.gov. You can also fill the FAFSA out online here. Please make sure you enter our school code: 038385. This allows your records to be sent directly to our Financial Aid office so that when you visit the campus, our FA officers can discuss your financial aid package with you in person. Here at Northwest Career College we have Financial Aid Officers on staff that can help determine the best financing option for you. To best support our students we offer a range of financial aid including the Pell Grant, Subsidized Loans, Unsubsidized Loans, and Parent Plus Loans. Call us today at (702) 403-1592 to speak with one of our experienced Financial Aid Officers who will help find the best financial support options for you. Previous Blog: Heart Attack Or Sudden Cardiac Arrest?Next Blog: How Much Does Pharmacy Technician Can Earn In Nevada?